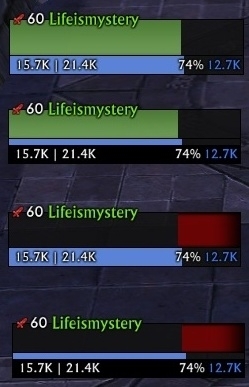 * go to "Unit Frames" then in the templates select "LifeismysteryUnitFrame"
* go to "Group Frames" then in the templates select "LifeismysteryGroupFrame"
* Added new templete LIfeismysteryDispel (I think it will be useful for those who use the standard raid frames). 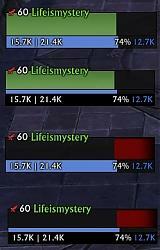 I just delete Gadgets folder from Gadgets: Lifeismystery Unit Frame, becouse i've made some changes with Gadgets v0.4.92. 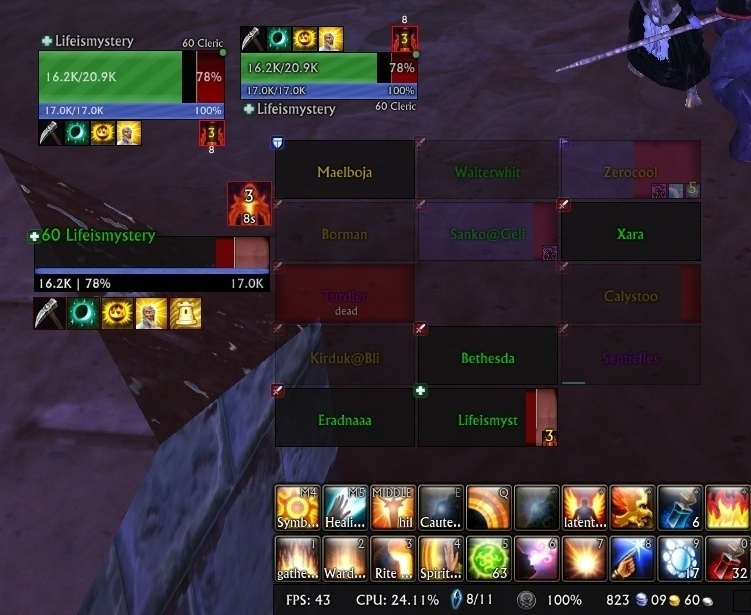 I love your unit frames, they are so simple to use, but i have a question how do you make the actionbars at the bottom of your screen? when i use the actionbars like that and i get into a robot (storm breaker protocol) the robot's skill does not show up, is there a way to make them show up? For this i configurated Options -> Key Bindings -> Main Action Bar, I use num1(2,3,4,5). I need it only for storm breaker protocol. Hi! 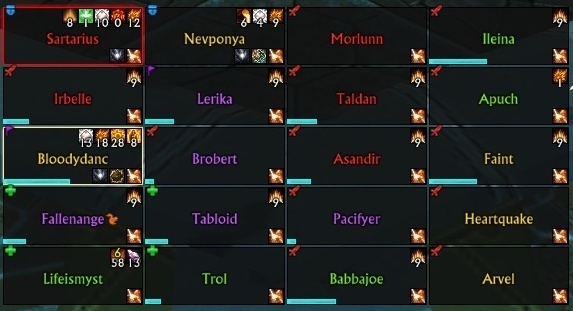 I don't know what wrong but I can't see any debuffs on these unitframes, the Standard unitframes of gadgets work just fine and show the debuffs as usual, but I really like these unitframes otherwise, is it possible to have them show? I have already made sure that "hide buffs" is not ticked and I have tried both "show only my debuffs" on and off. The small bar that you have created really great. Is it still possible to add a button to the Action Bar lock and unlock? While it's true that we can't create more of the default action bars, we can however create buttons, and we can make it look similar enough to fit with it and move it where we want. 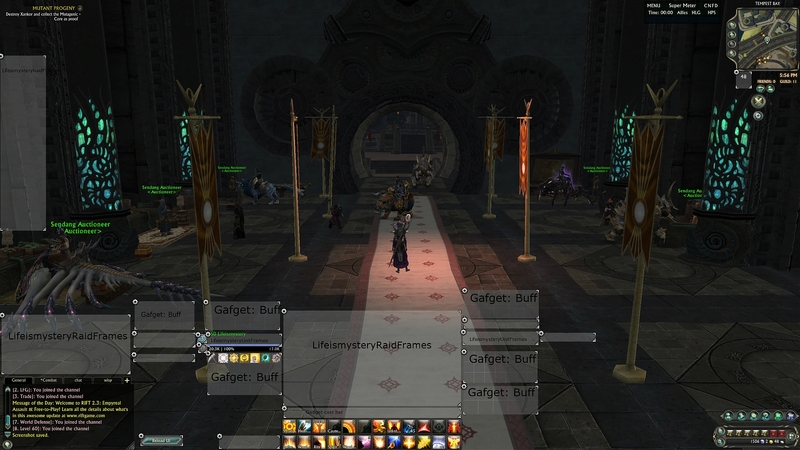 But in that regard I think it should be requested for Gadgets addon itself. That way everyone can use it instead of just users of an addon to an addon if that makes sense. I have been gone for so long, I like that mods are still going strong. Especially the ones I used most. I really like this layout too. Too bad we can't remove the default action bars and create custom ones to replace it that match the minimal design. Technically we could if Gadgets had the feature to create them, but it doesn't yet. So we're stuck with the default rift ones. 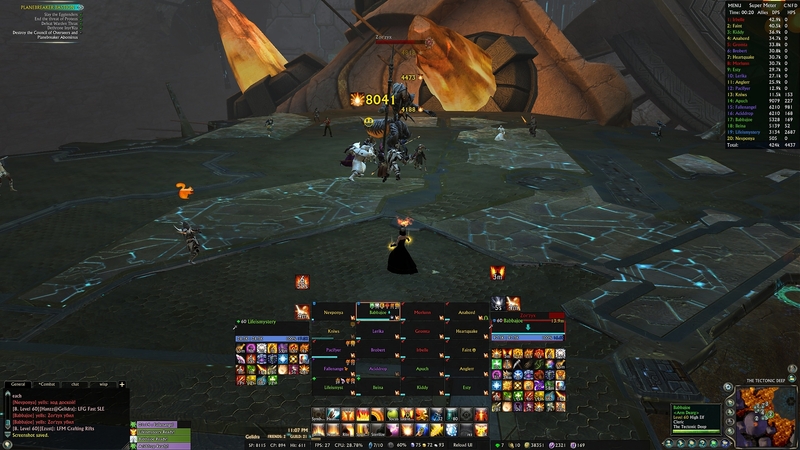 I actually like the RIFT graphics on the UI, but I think a more simple shape system should be in place. 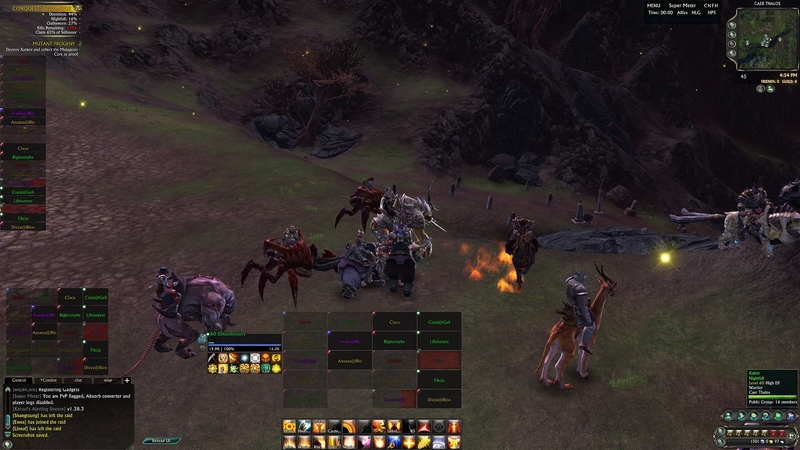 For example, having no portrait on the unit frames would be great, but keep the graphic style of RIFT. That's not yet available either, but I would love it if it were. 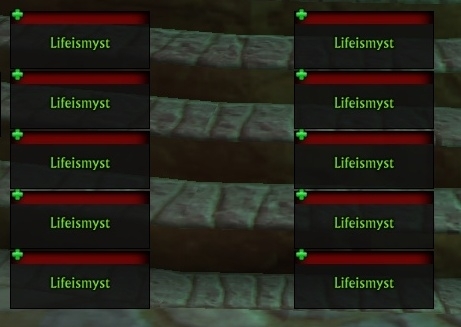 I'm still waiting on the API to finally let us replace the bags in the game, right now I have to use a command line to open a bag addon, but every time I visit a vendor it still opens bags. I am also waiting on the Mini-Map to be replaced (which is able to be done now). I don't have the time to make addons, or I would. I already have made an ENB that will work with RIFT though, long before. I can find time to tweak it a little and then upload it, but it will be under tools, because it's not really an addon, it's considered a mod by most of the community. But it still fits under the description of addon. 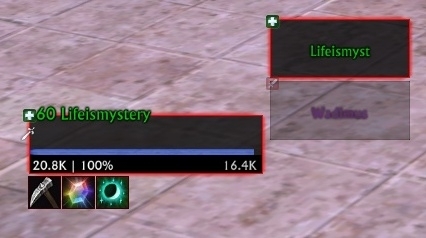 I use your Lifeismystery Unit Frame but i don't know : how i can have the green health bar? 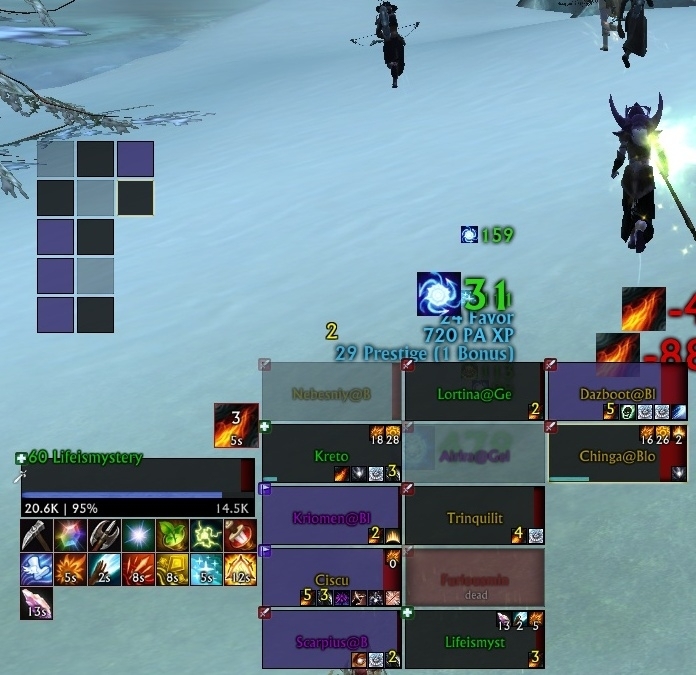 Hi Life, I noticed that when using Group Frames they do not redraw when you do a /reloadui. You have to click the gadgets wheel again to make them appear. Note that this is for Group Frames only, not Unit Frames or Raid Frames. Yes, I knew about it, but yet I don't understand what the problem is. I'll think about this, after writing guide. 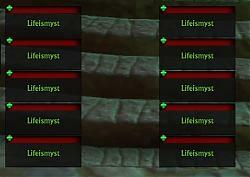 Also, how can I make the role icon (healer, tank, dps, support) bigger? Last edited by Bohwen : 10-27-13 at 09:10 PM. Last edited by Bohwen : 10-26-13 at 04:12 AM.